One of the more common metal allergies to have, as a matter of fact I have this allergy myself, is an allergy to nickel. 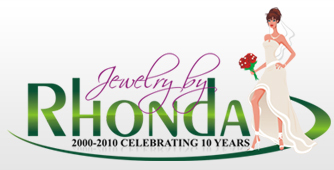 All jewelry, gold, silver, surgical steel, etc. contains some amount of nickel. Nickel is a key component in the alloy process of making jewelry. Your sensitivity to nickel could be slight or you could be so sensitive, you can only wear certain pairs of earrings for a short period of time. 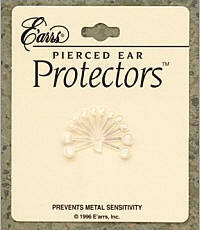 Here is an economical product to make post earrings wearable for you if you suffer from nickel allergies. 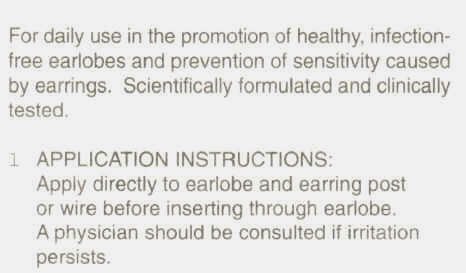 They are ear protector "sleeves" that completely encase an earring to keep the metal from touching your ear. They are invisible, comfortable and safe. You can easily transfer them from earring to earring. The package contains 8 sleeves and 4 backs. 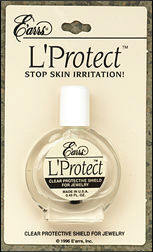 A clear protective coating for jewelry - provides a protective shield between metal and skin. 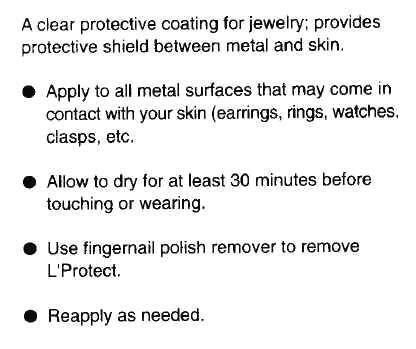 L'Protect™ can be applied to all metal surfaces that may come in contact with your skin like earrings, rings, clasps, snaps on jeans, belt buckles, etc. Dries crystal clear and can be removed with fingernail polish remover. The package contains one .45 fluid ounce bottle. This is one of E'arrs® most popular products. It is formulated to relieve the itching and burning of sensitive ears caused by metal sensitivity. Use daily for best results. The package contains one 5 gram tube.